When it comes to commercial scale security systems, Canberra Security have got you covered. Our Hills Reliance alarm systems are scalable up to 128 inputs (detectors etc), 8 areas and 99 users. But if you need more users, devices or you require integrated access control, then the Tecom Challenger might just be the security platform for you. As the system of choice in all A.C.T. schools and also favoured in most banks, the Tecom Challenger can handle up to 65,535 users, 1008 inputs and 128 access control doors as a stand alone system or expanded even further via the Interlogix forcefield platform. The Challenger is not only an alarm system but also a very powerful access control platform. 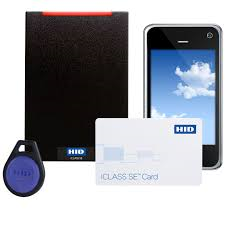 Proximity cards or fobs and even bluetooth devices can be linked to users potentially allowing them alarm system control and access to pre determined doors and areas via proximity readers, maglocks and electric strikes etc. With a log of the last 10,000 events (5000 alarm and 5000 door events) and the user friendly Security Commander software you will be able to see exactly what is happening with your system including where users are, where they have been and at what times. Adding and removing users can easily be done either via the codepad or remotely via PC software. Contact us now to arrange a free site evaluation and quote.